HAKUTSURU SAKE Brewing Co., Ltd. is located in the Nada district of Kobe, a leading sake production center known throughout Japan. The Nada district has high-quality natural spring water and cold winters -- two ideal elements for brewing sake. Also, the hometown to a craftsman's guild for sake brewers from the region, known as Tamba toji, is located nearby. 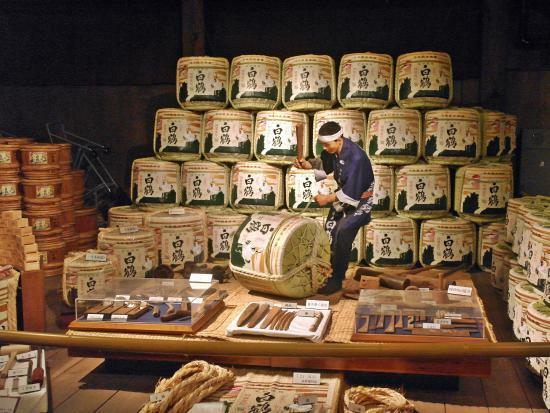 The brewers' superior skills have certainly been an important factor in the sake's quality. Our mission is to work with the toji master brewer to carry forward traditional sake brewing methods. Without taking up the challenge to try new variations, however, the full value of the tradition cannot be realized. HAKUTSURU SAKE actively incorporates new technologies and equipment, adapting them to traditional practices to produce sake in a way that elegantly suits modern day needs.